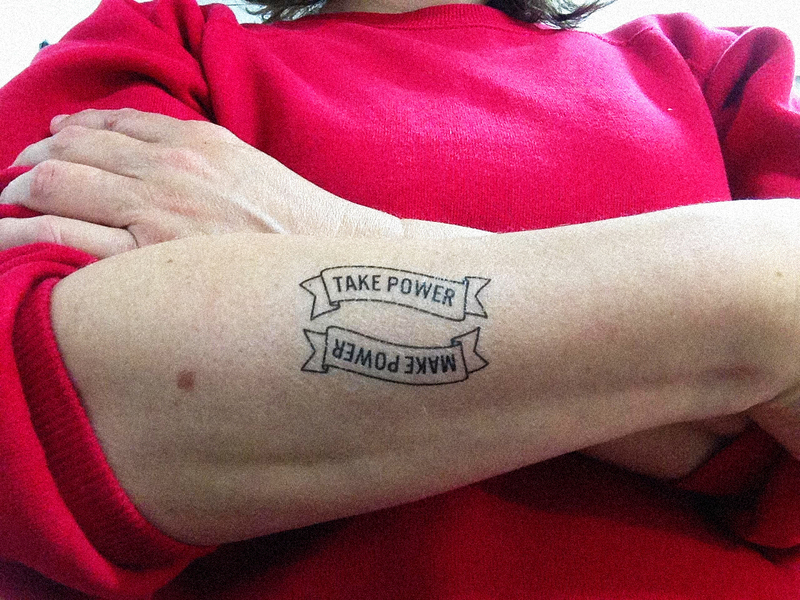 As part of The Foreshore, a series of 500 temporary tattoos to encourage, admonish, and declare a strategy for negotiating power. The Foreshore is a collaborative pursuit and shared space between Access Gallery and Other Sights, generating questions, confluence, and aggregation inspired by the conditions of the foreshore. We ask: how do we generate conditions of emergence? How can we take up space differently? How do we support unruly practices and futures?